The Lightwalker AT® combines dentistry's two best laser wavelengths into one convenient, versatile system, increasing our treatment capabilities, and overall patient care and comfort. Unlike the laser I was previously using, the Lightwalker AT® has allowed me to clean out cavities and prepare them for filling WITHOUT SHOTS more than 90% of the time. The only exceptions are with very deep cavities where the decay is very close to the pulp of the tooth. I am really excited about this laser because it really does do what the company that sells it claims that it does. This is done without cutting the gums and drilling into the bone, which are the procedures which are the main components of Periodontal Surgery, one of the most painful dental procedures a patient can endure. Ibuprophen, Tylenol or aspirin are all that is needed for discomfort after Laser Softcare and many patients need nothing at all. Treating cold sores with low dose soft tissue laser energy will give immediate relief from the pain and discomfort of even large cold sores, and cut the healing time to only 4 or 5 days. 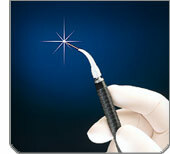 Tartar, associated with inflammation and occasional bleeding gums, is removed from the root surface of the tooth using an ultrasonic scaler and small instruments.Then, a small amount of light energy from a laser is directed through a tiny fiber, which is gently placed between the gum and tooth. This light energy aids in reducing the bacteria associated with the disease. After the area is thoroughly cleaned, the body can heal the area naturally. A tiny fiber is placed between the gum and teeth. The actual procedure can be virtually painless. Contact our Geneseo dental office if you have any questions or would like to schedule an appointment. Click here to schedule your appointment online. CPAP is the gold standard for Sleep Apnea therapy. If snoring is still a problem with a CPAP, an appliance to hold the mandible in a forward position while sleeping, to prevent the tongue from collapsing rearward and obstructing the airway, is often prescribed to be used in conjunction with the CPAP machine. 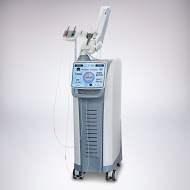 For those who cannot tolerate a CPAP, or who refuse to use a CPAP machine, NightLase® laser therapy can be an option. This laser therapy firms a flacid soft palate, uvula and tonsil area by stimulating new collagen formation (neocollagenesis) in these areas. Collagen is the protein building block in the bodies of all animals. The result is that the airway is made wider and the less flacid soft palate vibrates very little. This reduces the volume of snoring, and in some cases, eliminates snoring. Individual results vary. Smoothlase® Therapy smooths facial wrinkles by stimulating new collagen formation (neocollagenesis) in the lips and cheeks. This new collagen replaces the old, tired collagen in the skin which results in smoothing of minor facial wrinkles. Smoothlase Therapy is performed using an intraoral approach, without Botox or dermal filler injections, with none of the red, blistered, peeling skin that can result from extraoral laser and acid peels. Individual results vary.